You're set and ready to go now! Here you can find the ways to create your vocabulary and questions for your lessons. It will guide you easily through the Implementation of your lesson plans. 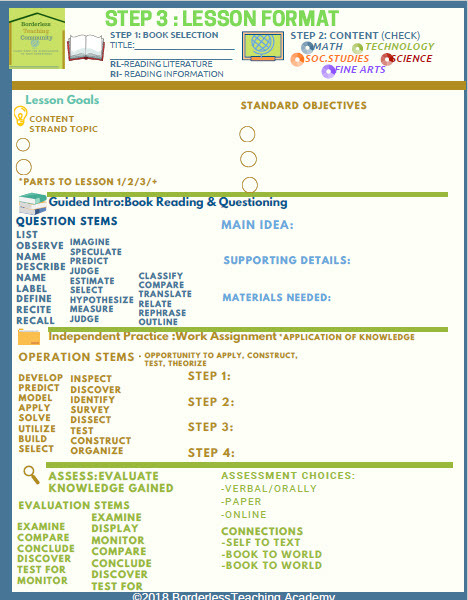 The next step is Implementing your lesson and the Step 4 Worksheet will help you on your quest!